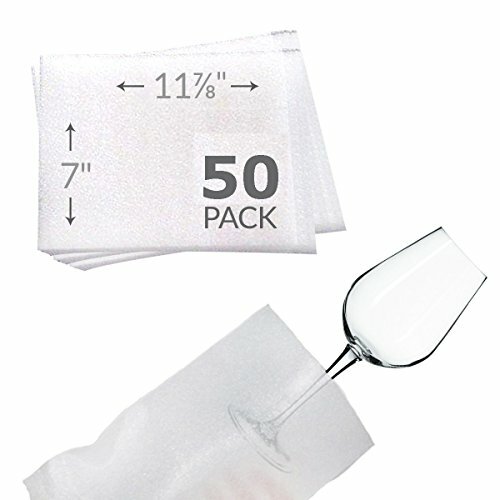 protection for your precious china, wine glasses, photo frames or fragile items. Foam is non-abrasive, clean, and leaves no residue. 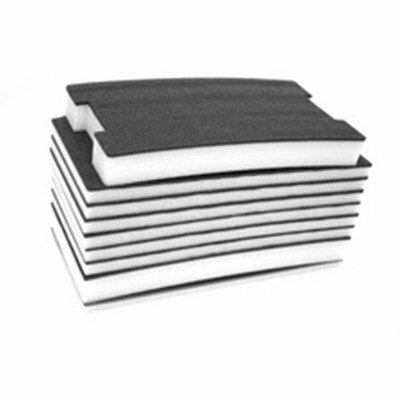 100pcs 12"x12" cushion foam sheets. 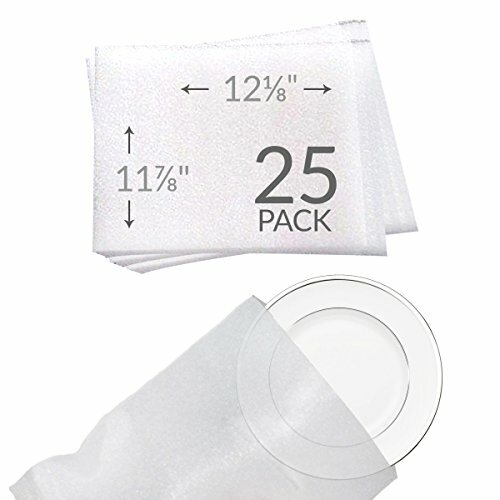 Each sheet is made out of 1/24" thick polyethylene foams. 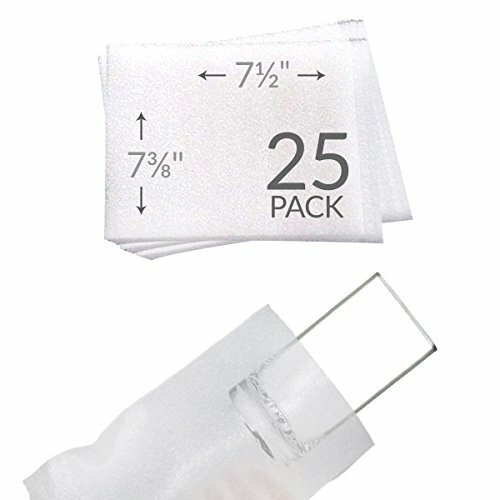 The sheets are PRE-CUT, Great alternative to packing paper or bubble wrap. Expanded polyethylene has a memory foam nature that is easily manipulated into desired shape. 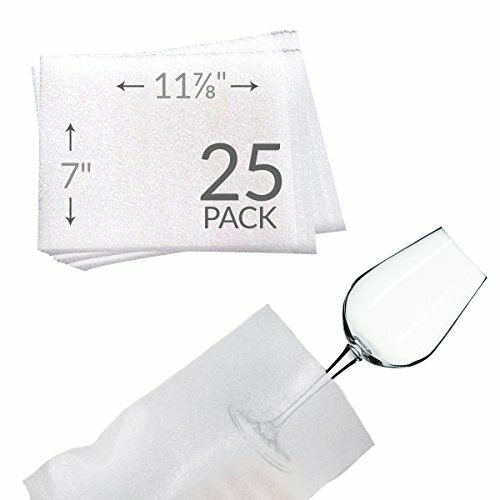 the cushion foam sheets will easily conform to all edges and corners of desired wrap. In most cases, It's reusable. 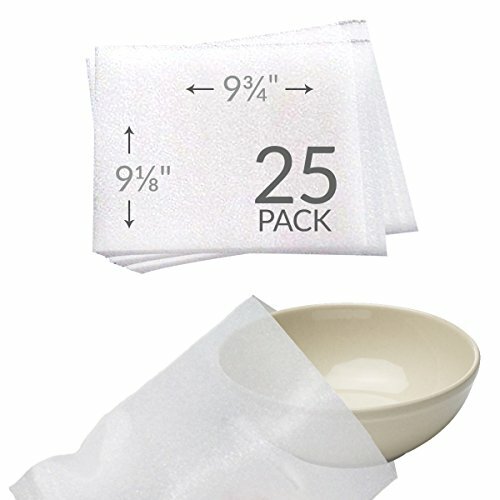 Use for protection of delicate and fragile items, Worked great between the plates, bowls, and cups. 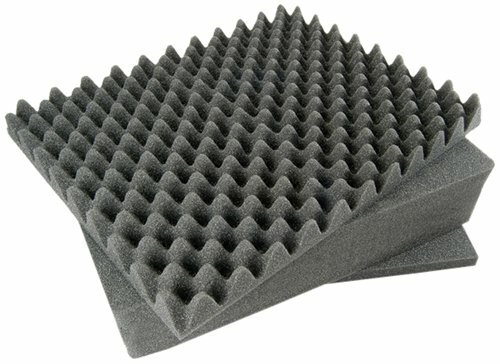 The Cushion Foam Sheets are low density. They are extremely light, yet strong. The foam sheets can be stored away easily in any area as they are space efficient. 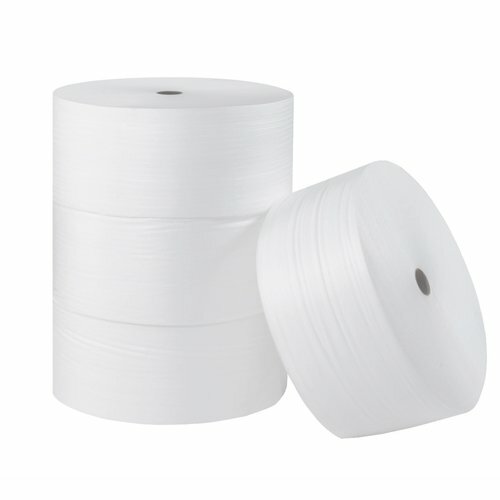 Moving supplies, shipping supplies, and packing supplies used as packaging material. 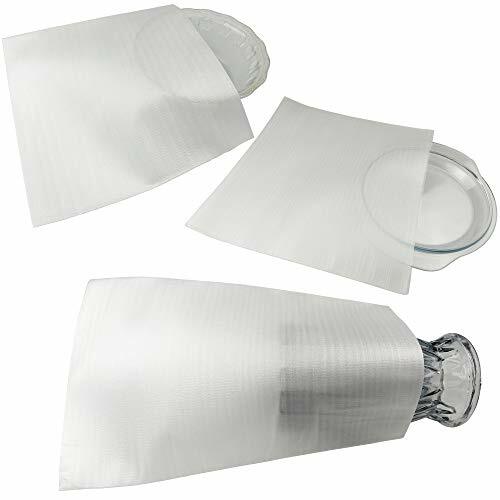 Foam Wrap Pouches for Plates Qty: 25 Size: 11 7/8 x 12 1/8-inches 3/32" thick polyethylene foam. You will receive 60 count of Mighty Gadget cushion foam Pouch. Buy them once and they can be reused over and over again. 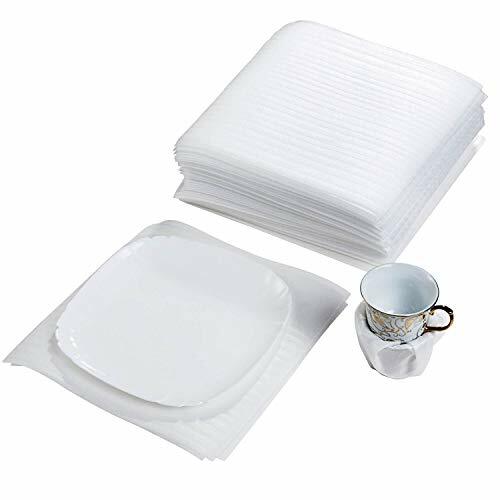 These thick low-density polyethylene foam pouches are double sided to allow you to easily slip dishes, glasses, photo frames, fragile items and other valuables items into. The foam is non-abrasive, clean, and leaves no residue. This protective foam helps store your seasonal items. collectibles, picture frames and glass objects. Keep your delicate Christmas ornaments or those special china plates you only bring out for thanksgiving dinner. 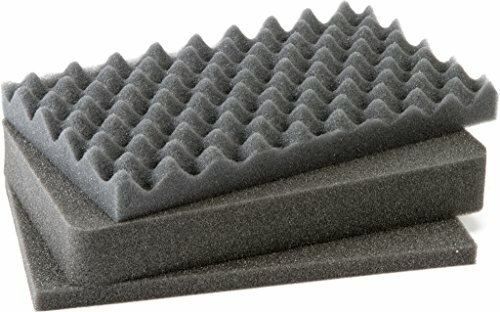 This Pelican Replacement Foam Set fits the Pelican 1400 Case. You can customize the fit of this three piece foam set to meet your individual needs, providing extra protection for your valuable equipment. Aviditi foam rolls are cross-perforated every 12" for easy tear off. Light-weight protection. Foam absorbs shocks. Keeps products clean and mark free. Measures 350-feet length by 12-inches width by 1/8-inches height. 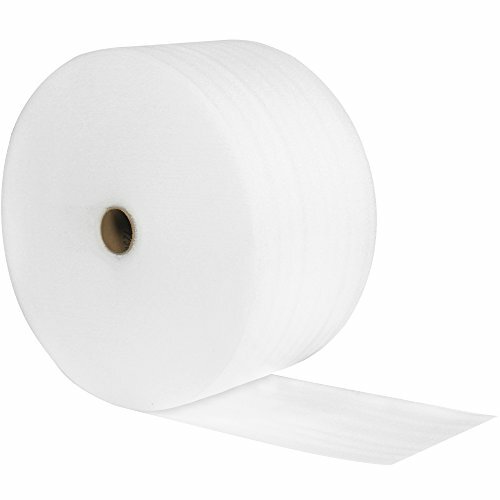 Brand: Pelican | Manufacturer: Pelican Products Inc.
Aviditi foam rolls are cross-perforated every 12" for easy tear off. Light-weight protection. Foam absorbs shocks. Keeps products clean and mark free. Measures 350-feet length by 24-inches width by 1/8-inches height. 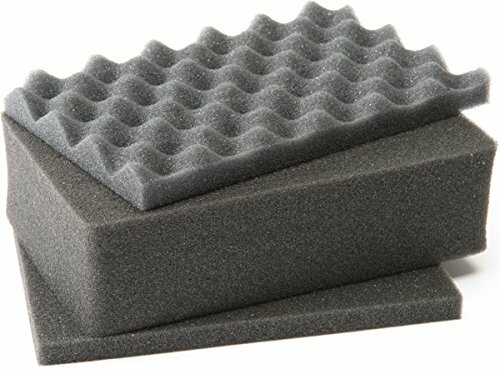 Pelican 1562 Pick N Pluck replacement foam. Sections Only (set of 2) for 1560 Case. 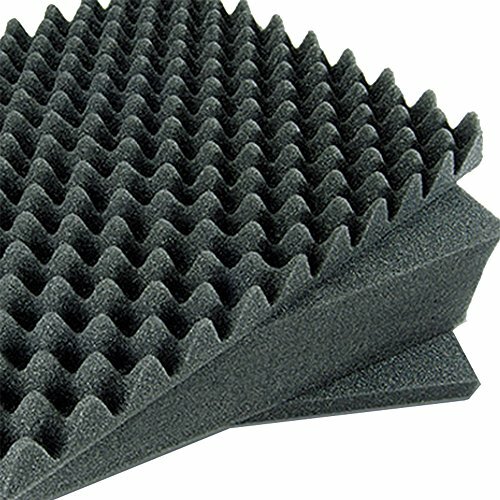 You can customize the fit of this foam set to meet your individual needs, providing extra protection for your valuable equipment. Replacement pick sections only. 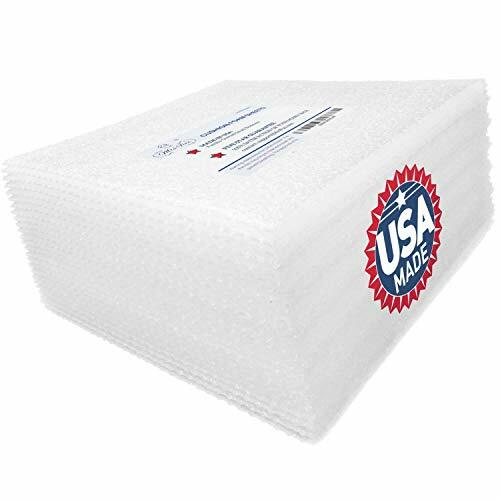 1/16 inch x 24 inch x 900' upsable perforated air foam roll. Foam rolls are cross-perforated every 12 inch for easy tear off. Light-weight protection. Foam absorbs shocks. Keeps products clean and mark free. Non-abrasive. Moisture resistant. Upsable sized rolls.